$50,000 - $100,000 per year! Five courses to choose from: 2 days to 18 weeks! 100% Hands On Shoeing With LIVE Horses At Our School! We NEVER Shoe Horse Cadaver Hooves!!! 5 Courses to choose from, 2 days to 24 weeks! We use a streamlined teaching method, backed by 29 years of research. Our use of today's technology allows us to solve hoof problems faster and more efficiently. With 90% of our hands-on training being on-site, we save even more time, providing an 8 week education in a 6 week period of time and a 16 week education in 12 weeks. We are the ONLY school to offer an additional Advanced Specialty 6 week course. Our teaching is based on our easy to comprehend “6-Steps” plan. We call it “The Grammar School of Trimming and Shoeing Horses” (copyrighted). New students are NON Horse Owners & Horse Owners: You may have experience riding on top of a horse, but not under a horse. You are here as a beginner. When you apply our 6 Steps you will only then understand the importance of the farriers role in maintaining a healthy horse with healthier hooves to stand on. Our school allows you to attend on a full-time, part-time or Saturday-Only schedule. Click on "Attendance Options" to learn more. Classes are held Tuesday through Saturday, year round. Students are welcome to bring their own horses to trim & shoe during their training!! Horses are provided by the public, different daily & delivered to the school saving valuable time & in a educational atmosphere. This allows you to work at "your own pace". Small classes of 8 are preferred. 10% Classroom Discussions & Lectures By Guest Farriers. A 2 week course is like getting your learners license! Your on the road, but not ready to drive solo! Six Weeks (30 days): You will receive the equivalent of an eight week course in a six week period, allowing you to spend a shorter time away from home. You will learn how to change the horse's mode of travel caused by poor leg and hoof conformation or previous improper shoeing, how to recognize, prevent and correct lameness, in depth study of the anatomy related to proper balance and shoeing of all breeds and types of horses. You will learn to handle spoiled horses, learn basic horse psychology, how to set up your own business and shoeing rig, receive BUSINESS STRATEGY LECTURES, classroom time and extensive live shoeing and forging. Includes: #2 School Manual, Nutrition Booklet and DVD, Novel Headstall DVD. Twelve Weeks (60 days): This course prepares the student further to be a professional farrier. After the six week course you will concentrate your time on perfecting your techniques. You will work with the professional farriers in the FNRC. You will learn to use the arc welder in making more professional corrective shoes. You will learn advanced shoeing techniques for lameness of the leg, hoof repair along with continuous live shoeing, classroom and forging each day. Includes the EFT Class. Option 1 Tools Includes: #3 School Manual, The EFT Course and Book. Option 2 Tools Includes: #3 School Manual, The EFT Course and Book, Anvil & Forge. You must complete the 6 or 12 week course before enrolling in this continuing education course. This course is accepted by the Veterans Post 9/11 Funding. The intent is to provide Specialty Shoeing Courses on a more professional level to provide a higher paying self-employment for these men and women. At the completion of this course, the farrier can apply for the Journeyman level Farrier Certification. We have 4 divisions for a total of 6 weeks of advanced training. We will offer one course a month, year round, allowing the working farrier to work around the schedule. We offer two day courses for horse owners who want to bring their horses with them and learn to trim their own. Call 706-397-8909 for next available Trim Class dates and reserve your space today. These classes fill quickly. We offer short courses for farriers and horse owners who want to learn the fundamentals of handling, safety, riding & more. Answer: to keep the bony column of the leg in alignment, wherein when the foot strikes the ground, the entire bony column, including the spine, equally absorbs the concussion. To achieve this, we must balance the horse. Each course begins with our “6 Steps Grammar School of Trimming and Shoeing Horses" and follows through daily on every horse. Infrared Thermal Imaging, Treadmill, Track. CaseyCam and Equine Flexion Therapy only found at this school ! These educational aids were developed to help you see and study your before and after results. Cold is shaping and modifying (keg) factory made shoes on the anvil. 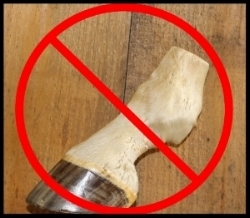 Hot Shoeing refers to Forge work when shaping the shoe while hot using propane gas forges and hot shoeing refers to ensuring a level flat hoof. We modify factory made (keg) shoes into corrective shoe shapes and make hand made shoes from bar stock for corrective shoeing. We use arc welding and other industrial equipment to aid and improve our skills. All of the above is discussed thoroughly by reviewing your days’ work and evaluating your progress. Homework is given for evening studies on your own. Our manuals and DVD’s included. Study Resources consist of a Library of Books you can check out. Business strategy is discussed in all areas of training. TESTING: Written, orally and one-on-one during your schooling to prepare for successful graduation. All will be determined upon the length of course you attend. Horsemanship and SAFETY: We highly promote and teach safety measures handling horses to avoid injuries to students or horses. Students and owners are asked to sign a liability release form. Don’t forget to checkout and like our Facebook Page!